Last week was one of my history-indulgent weeks on Merseyside. One where I catch up on the ever-changing town centre (it’s still changing), check that my book’s still on the shelves of Waterstone’s (it’s not 🙁 ) and book myself on a tour or two (I did). First up, on Sunday, I was lucky enough to catch one of the Williamson Tunnels member’s tours courtesy of the Friends of Williamson’s Tunnels (FoWT). Despite a little mix-up on my part, which revealed the existence of two societies concerned with the Tunnels, we were well taken care of by the energetic volunteers who make up the Friends. A special thank you to Chris, who booked us in, and Jamie and Tom, who, along with Chris, were our guides for the three parts of the tour. The second section of the tour, with Chris as our guide, took us down a longer ladder (with harnesses to keep us from falling too far, should we slip!) into the Gash and, eventually, the Banqueting Hall. 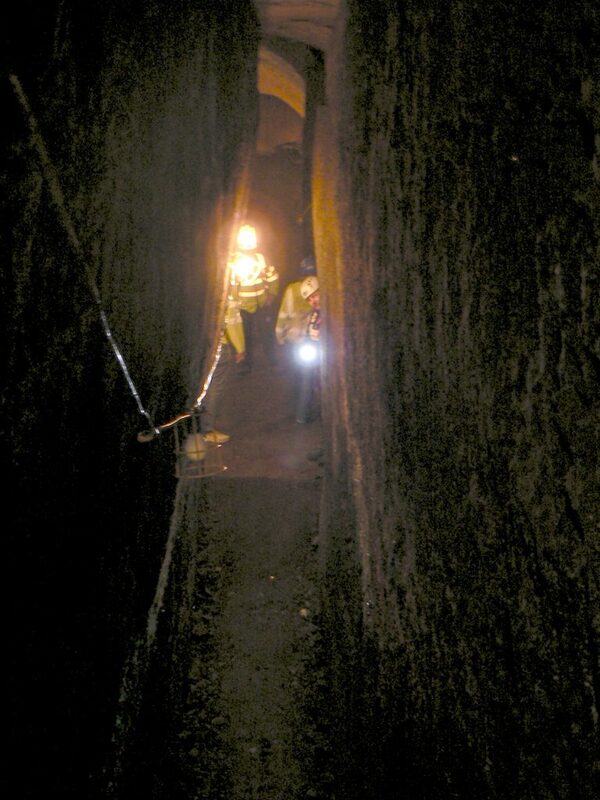 The Gash is a tall narrow passageway that was possibly once a natural fissure in the sandstone. This fissure had been widened slightly, and the suggestion has been made by an earlier visitor that its floor may have sloped downwards in order to transport quarried sandstone blocks to the entrance of the tunnels, ready for shipment elsewhere. The Banqueting Hall is an impressive gallery, currently still with a lot of spoil and rubble in, which demonstrates the impressive construction skills of Williamson’s workforce. There are about 5 feet of ‘floor’ to be removed before the bedrock is reached. Finally, we made our way around (now without harnesses) to the Paddington site, with a proper entrance in front of a student accommodation block. This network of tunnels was saved for last, and it would soon be easy to see why. The entrance way/lobby displayed a map of the known (and supposed) tunnels, pulled together from recent excavations, a military survey in the 19th century, and various other historical sources and rumours. 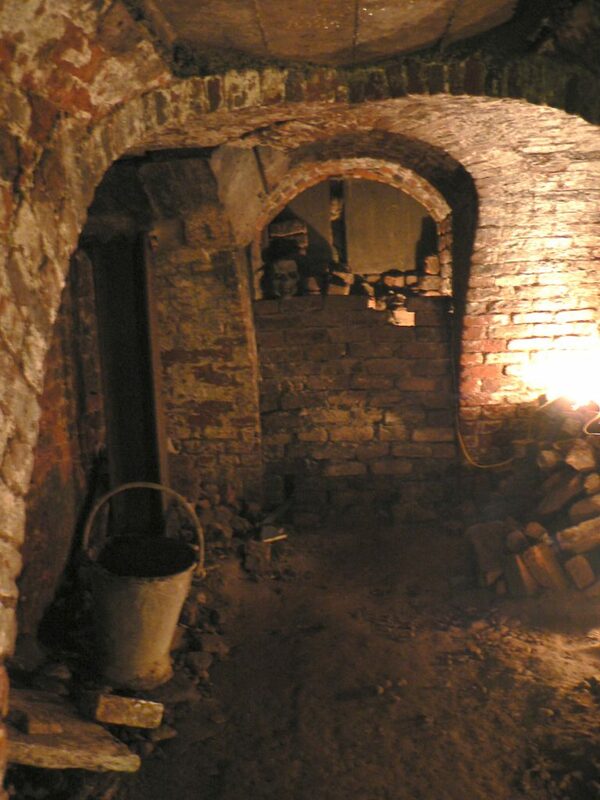 There was also an archive of newspaper articles of a trip into the tunnels in 1925 by local historian Charles Hand and the Lancashire and Cheshire Historical Society. The biggest mystery is why these little forays didn’t become more popular! Still, we were about to see that the party who descended ‘for about half a mile’ into the ground were not to know the half of what was there. Chris showed us an impressive array of finds from the constant excavations, and we watched as keen volunteers brought buckets of soil to the surface. 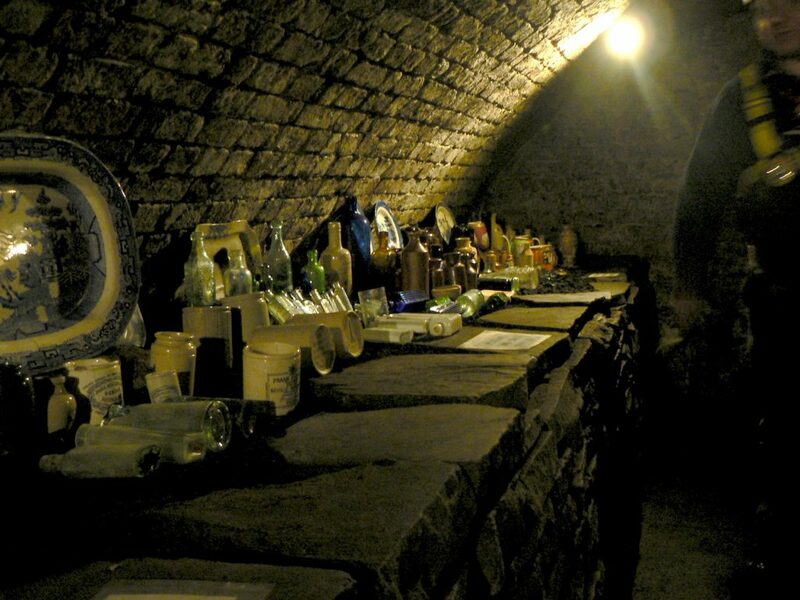 The finds included plates, dolls’ heads, cups, coins and bottles, many in unbroken condition. For someone who’s worked on archaeological sites around the country, to hear that only 80% of finds are broken was very impressive! 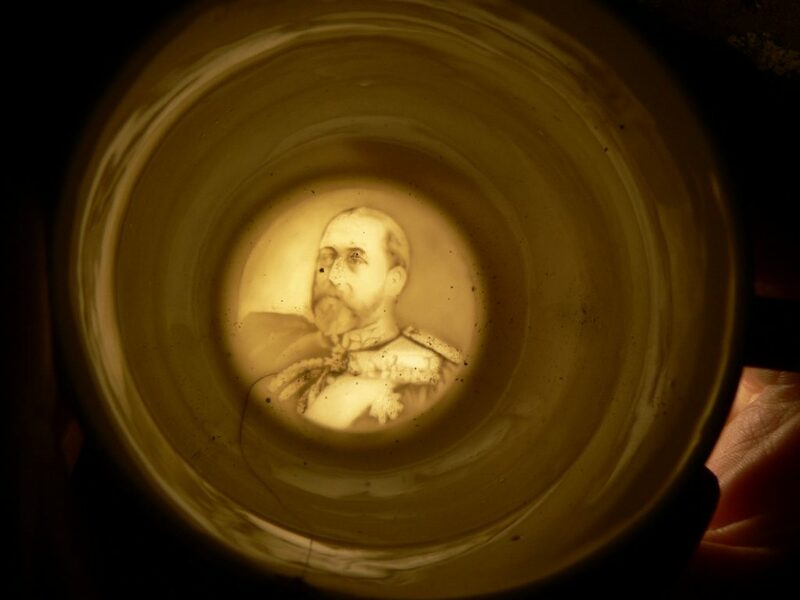 The star find was a King Edward mug which showed the face of the monarch expertly crafted into the base, as you can see here. 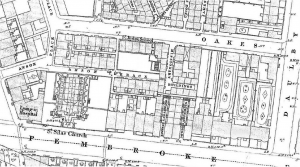 So why did Williamson built these vaults and dig these tunnels? Research and hypotheses have advanced since I was last here in the mid 2000s. There’s still some agreement that he was probably helping to give work and training to local men (not just soldiers), and this can be proven by the extremely high quality of the archways and sandstone finishes, which were much more than the job required. No one but the workers and Williamson himself was probably ever expected to see these features. I enjoyed two of the more practical ideas, which sit easily hand-in-hand with the one above. The first, as Tom told us, was that Williamson didn’t own the mineral rights to the sandstone under his house, so he couldn’t legally extract the stone and sell it. However, he was known as a builder, and knew brickmakers in the area. It might be the case that he secretly swapped the sandstone for bricks. No transaction papers, no paper trail. He would then have all the bricks he needed to carry on his registered business, and no one would bat an eyelid. 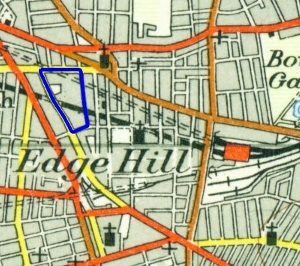 Secondly, the area around Mason Street and Paddington was once the site of sandstone quarries even before Williamson arrived, and so the builder might merely have being reclaiming unusable land for the houses constructed atop the arches. The Tunnels and vaulting allowed him to put fashionable gardens behind his own and other houses, which would otherwise have been impossible. Despite being a builder, his own schemes were just a little whimsical and unplanned, hence the likes of the Triple Decker Tunnel and other odd-looking features. 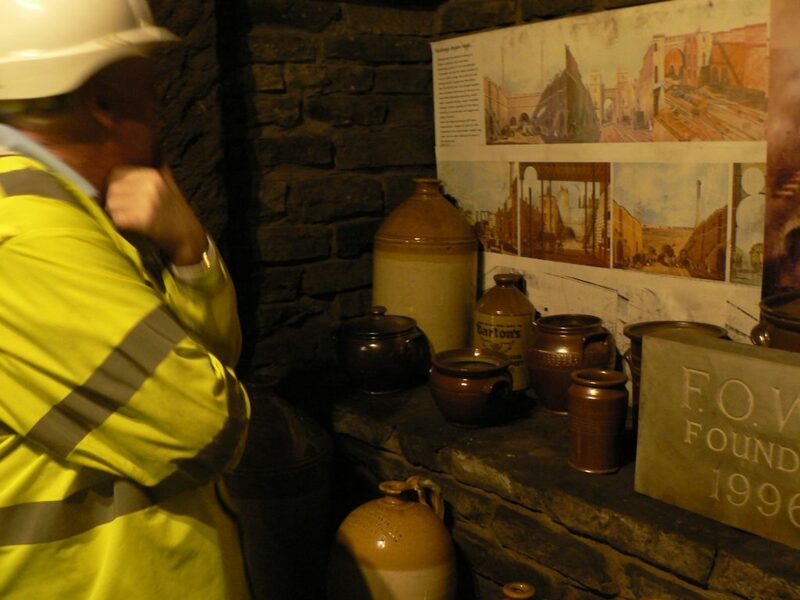 Whether any, or all, of this is true, we may never know for certain, but it was eye-opening to hear how the Friends of the Williamson Tunnels have made both physical and historical progress in bringing the site, literally, to light. 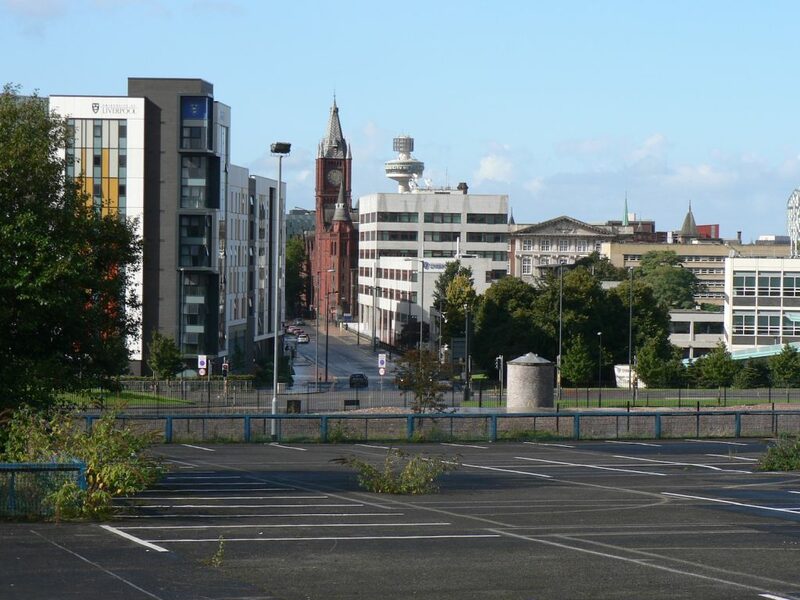 Paddington was once a main thoroughfare into central Liverpool, but the way was blocked when Paddington Comprehensive was built in the 1960s. If you want to go on one of these tours (and even if you don’t!) then I can’t recommend highly enough that you join the Friends (FoWT). It’s ridiculously cheap at £5 per year, and all your money goes into keeping this heritage safe. This is a unique site, and needs to be preserved, and as a member you get better access on these special tours than the general public. You also get a regular newsletter giving updates on their progress and other news. Get over to their website now and sign up! Well, I was going to give details of my other underground adventures in Liverpool that week, but this is a long enough post already, so I’ll save it for next time! 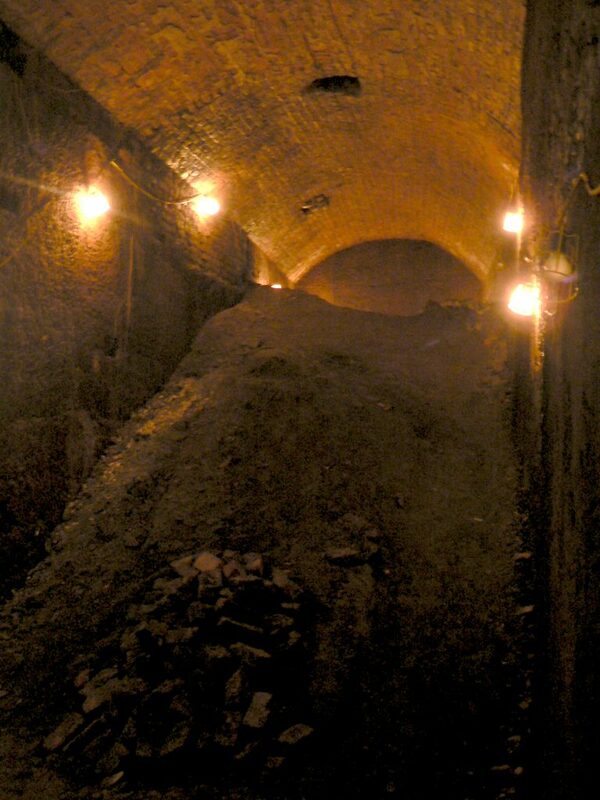 Joseph Williamson’s Tunnels are the maze-like remains of excavations under Edge Hill. 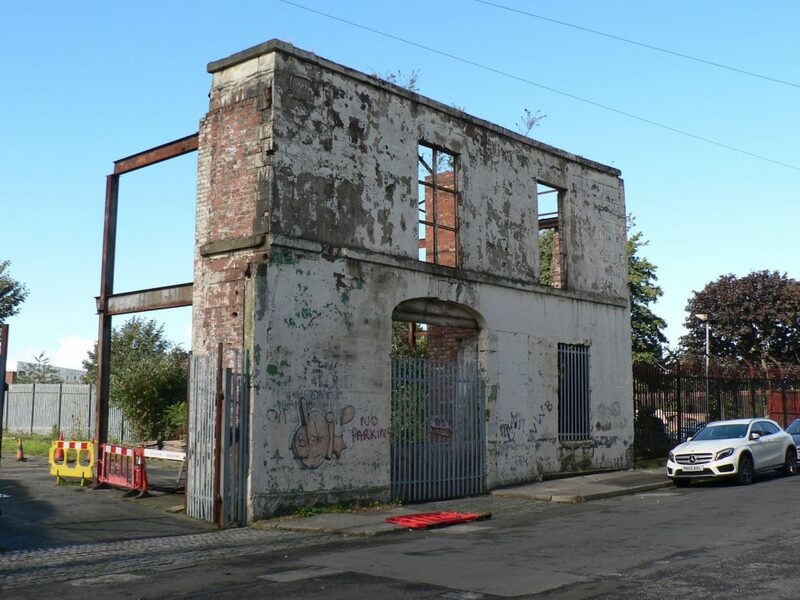 They are the work of Joseph Williamson under the streets of east central Liverpool, constructed in the early part of the 19th Century.